At TEAM Rapid, we provide high pressure die casting service at lower cost and better quality to meet your different volume production needs. High pressure die casting is a manufacturing process that injected the molten metal into a steel mold or die to form products, the metal can be aluminum, zinc, magnesium alloy or other else, most of our clients choose aluminum as the casting metal in their projects. Because of the stable dimensional accuracy and the smooth finish, the process is popular used in producing metal parts. At TEAM Rapid, we combine the traditional tooling process and Rapid Tooling technology to build pressure die casting tool to meet your different quantities needs. We are happy to produce low quantities as few as 50 high pressure die casting parts to our customers. The cost for per unit part in low-volume might be higher than the larger quantities, but this is not much. Also, another advantage of our low volume die casting part is we can build the tool in low cost, as the low-volume demands, we will select the suitable steel to meet your quantities without compromising the quality, the tool life time is shorter also means for the lower tooling cost. Overall, even if the unit price is a bit higher, but the total cost can still meet your budget or even less as the low tooling cost. 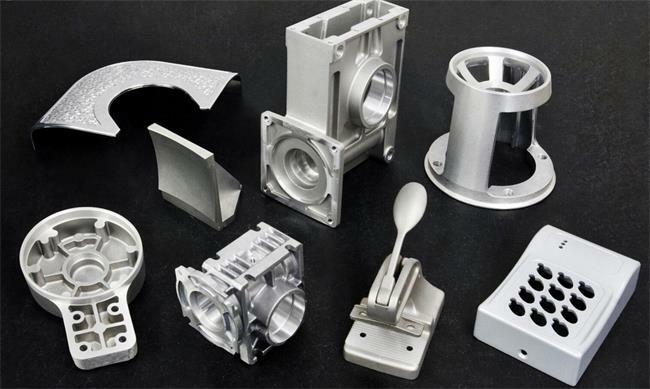 We can produce thousands of high pressure die casting parts in several days with the proper part design and the right pressure die casting tool. TEAM Rapid has produced has produced quantities of 20,000 to 30,000 high pressure die casting parts a week in some cases. We can design or work with your designer to develop high volume high pressure die casting tooling. Want to learn more about our services? Call us at +86 760 8850 8730 or send emails to us at sales@teamrapidtooling.com. We will provide strong support and best solution to you.